This month, we’re throwing the spotlight on Downtown, Austin Texas. This week, we’ll be taking a look at some of the apartments in this neighborhood in the middle of everything. AMLI Downtown is popular with those looking for a mid-rise apartment building (as opposed to a highrise), downtown. They welcome large pets, have a fitness center, and some units have downtown views. The apartments have gorgeous concrete floors and black appliances. 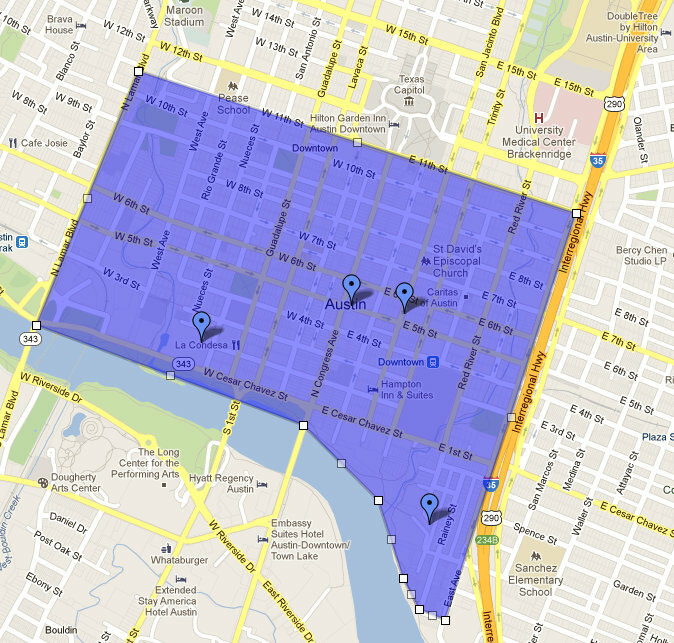 Greystar Red River Flats are located in the heart of Austin’s music district and have a free parking garage. Units include washers and dryers, granite countertops and the community is very dog friendly, providing a dog park and welcoming large dogs. AMLI on 2nd is a downtown highrise with skyline and Lady Bird lake views. Units feature stained concrete floors, walls of windows, granite countertops and stainless steel appliances. Gables 5th is a gorgeous complex that has free downtown parking. Units have the latest designer touches like granite, subway tile backsplashes, stainless steel appliances, bamboo wood floors and frosted glass accent cabinets. Washers and dryers are included in all units. Looking for an apartment in downtown Austin? Give Apartment Specialists a call today at 512-241-1111 to take advantage of our expert knowledge of the vacancies, amenities and move-in specials at all the best Downtown Addresses.